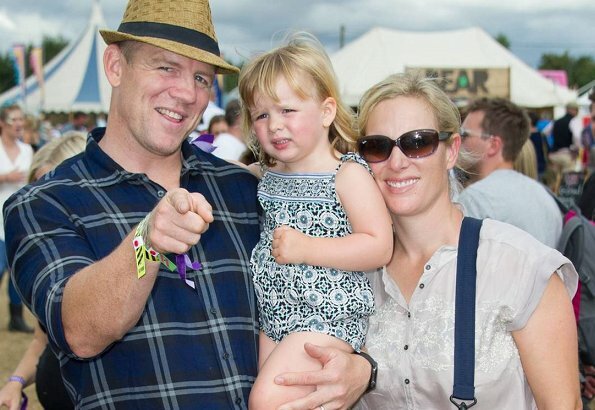 Yesterday, Zara and Mike Tindall announced that they expect their second child. The spokesman said that Queen Elizabeth is happy with that news. The couple announced in November 2016 that they expect a baby but a few weeks later, they announced that Zara had a miscarriage. Currently, the couple is having a holiday in Australia with their three years old daughter Mia. It is anticipated that the birth will take place this summer and second child of the couple will be the seventh great-grandchild of the Queen and the fourth grandchild of Princess Anne who is Zara's mother. I am so happy for them. Zara has always been one of my favorite Royals. Great news to this family! On this photo of Mia you see something of Princess Anne in that cute little face. Mia is adorable.